All of our classes at Seth Weil Academy are organized by the students age and developmental stage. 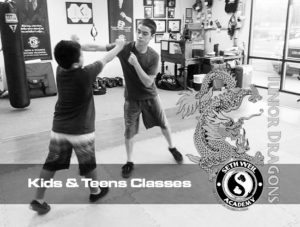 Seth Weil Academy offers classes for kids of all ages, skill levels and abilities. All classes are taught directly by Seth Weil himself. Our martial arts classes will teach your child how to handle bullies as well as improve concentration and other life skills such as focus, teamwork, respect, discipline, confidants and a enthusiastic outlook that will help them in school and in all aspects of there life. These life skill are taught in our martial arts program through self defense, martial art games and other related activates. Younger students will get to earn a stickers at the end of the class for good behavior (listening and following directions) and all students get to earn belts and certificates as they they improve and learn new techniques.